As Art Director for Indepenpress Publishing Ltd, I have been designing book covers and enjoyed working with self-published authors for over 17 years. Previously I was Head of Design for Gameplay.com and Virgin Net. With the demise of Indepenpress, I decided to take my experience and knowledge and set up on my own. So here I am ready to help you making your work as successful as it can be! I guarantee a professional, reliable service at affordable costs. Whether you have an idea of what you want the cover to look like, or no idea at all – I am here from drawing-board to print, or eBook publishing, keeping you informed and involved every step of the way. I am a keen photographer and prefer to use my own photos and illustrations when I design book covers, rather than stock. Stock agencies mainly serve the advertising sector and don’t encourage photographers of being overly arty. They prefer clean, commercial images. I should know having submitted images to Istock, Shutterstock and Dreamstime myself over the years -see below. In my view, getting the typography right is the most important task when designing book cover artwork. On a personal note, I’d like to add that reading books is one of my greatest pleasures. I am honestly grateful to so many authors who have filled my head with their words. So to be able to work in my chosen profession as a book cover designer, truly is a pleasure and a privilege. 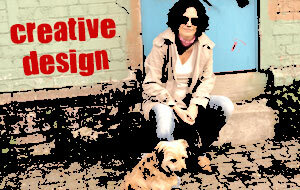 Extensive experience in design and art direction. Leading the re-design of Virgin.net as Head of Creative before it became Virgin Media. While Head of Design at Gameplay we won the Yell website of the year 2000 award.